Q: Any memorable experiences that you would like to share? A: On one occasion – in one of the international Anatolian Eagles - PAF pilots were pitted against RAF Typhoons, a formidable aircraft. There were three set-ups and in all three, we shot down the Typhoons. The RAF pilots were shocked. 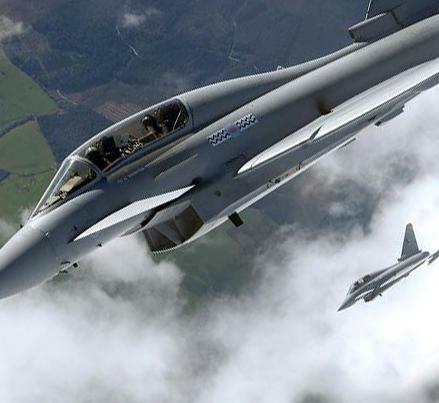 A: NATO pilots are not that proficient in close-in air-to-air combat. They are trained for BVR [Beyond Visual Range] engagements and their tactics are based on BVR engagements. These were close-in air combat exercises and we had the upper hand because close-in air combat is drilled into every PAF pilot and this is something we are very good at. The Anatolian Eagle air-combat exercises are hosted by the Turkish air force and would have seen Pakistani pilots on exchange with the Turks flying modernised Turkish "Block 50" F-16s, a much-upgraded version of the original US made 1970s Fighting Falcon, which is now in service with many air forces and assembled under licence in various countries including Turkey.